Though it would certainly simplify matters, creating an estate plan is by no means the end of the process. Not only do people’s wishes and goals tend to evolve over time, but changes in family dynamics and financial circumstances are common and frequently necessitate an update in documentation. Additionally, Nevada estate planning laws may change over time. For these reasons, experts recommend that individuals review their estate plans at a minimum of once every three years. Many individuals find it beneficial to make a list of all essential estate planning information and where to find the documents. 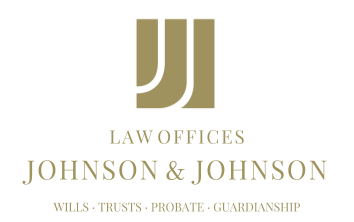 This can be helpful in cases of unforeseen incapacitation, so that an individual’s family or loved ones will have access to important documents such as wills and trusts, insurance policies, deeds and the like. A list of relevant professionals or even simply contact information for the individual’s estate planning attorney will likely prove valuable as well in such instances. If nothing else, a frequent review of all documentation with an estate planning attorney is highly advisable, if only to ensure that all of the paperwork is up-to-date and signed. Individuals may also wish to take this opportunity to review any beneficiaries designated on assets like retirement accounts and life insurance policies. Some people even choose to name a second beneficiary in case the first predeceases the individual and there is not enough time to update the policies. When estate planning is done properly with the help of an experienced Nevada attorney, the result is typically a smooth transition of assets after death. An estate planning lawyer can also provide valuable legal insight into minimizing taxation, court costs and other fees. Ensuring ahead of time that all documents are accurate and updated and that family members or loved ones are kept informed can go a long way towards helping to avoid any challenges or disagreements that may arise during the administration of an individual’s estate.